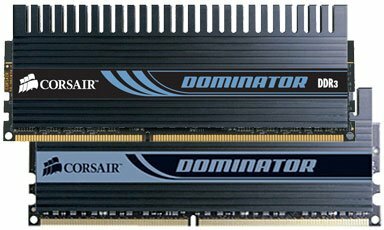 Fremont, CA, July 24th, 2008 – Corsair, a worldwide leader in high performance computer and flash memory products, announced today the immediate availability of a new DOMINATOR DDR3 memory kit running at 2133MHz. The launch of this memory kit, the TW3X2G2133C9DF, makes it the world’s fastest DDR3 memory solution in production volume. The TW3X2G2133C9DF DOMINATOR modules represent the very best of Corsair’s cutting edge technology in DDR3 overclocking and gaming memory. Ultra fast, selected DRAM chips are housed in Corsair’s proprietary Dual-Path Heat Xchange Cooling Technology (DHX) -used in Dell, HP and Alienware gaming systems- for striking speed and performance. The new DOMINATOR TW3X2G2133C9DF memory kit unleashes the high performance potential of NVIDIA 790i-based platforms. “Our engineers have been working hard to achieve this astounding speed of 2133MHz,” said John Beekley, VP of Applications Engineering at Corsair. 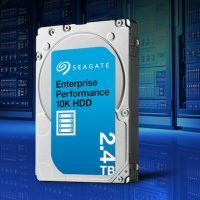 “This is a tremendous accomplishment to be able to manufacture memory modules at this speed in production volumes,” added Beekley. The new DOMINATOR TW3X2G2133C9DF kit is now available in stock for $575 at select Corsair retailers. Corsair memory products are backed by a Limited Lifetime Warranty. Complete customer support via telephone, email, forum and Technical Service Xpress is also available.